Fantastic lecture with a live demo. Amazing presentation with live demos. Nice job! How about when you are upgrading your database schema? What if you need to add memory to a database server or reconfigure/restart MySQL? If your apps want to read data from a MySQL slave, how can you be sure they are not reading stale data without re-coding your apps? What if your main data center takes a hit? And what if you want better MySQL stability, performance, and simplified administration, but you cannot or do not want to re-write your apps or convert your current data to run with a proprietary MySQL re-write or a promised new version of MySQL? During this talk, Edward will go through a detailed case study to show you how you can start with the MySQL version/build (MySQL Community 5.x, MySQL Enterprise 5.x, MariaDB, Percona, etc. ), along with the data and apps that you already have, and iteratively build up a highly-available, scalable, multi-site database infrastructure where you can perform complex data management tasks with single commands. 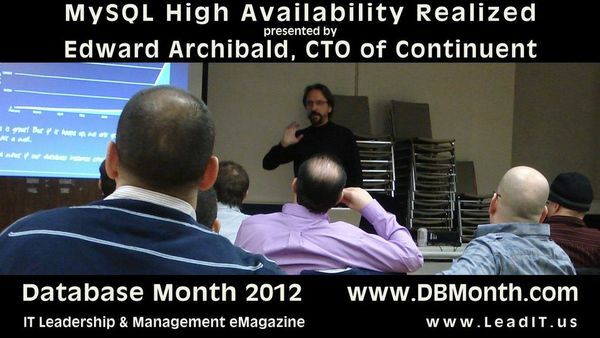 Edward Archibald, CTO of Continuent,, the leading provider of data replication and database clustering solutions for open source DBMS. 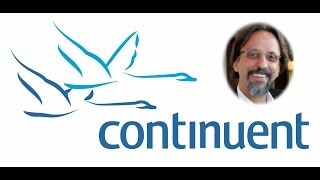 He brings over 25 years of distributed systems architecture and engineering experience. Prior to Continuent, Edward was the Sr. Director of Data Services at Moody's Analytics, the DBMS connectivity lead at Forte Software, and was responsible for architecture, design and engineering leadership for a number of innovative DBMS and middleware solutions at Sybase, including Replication Server and Open Server, as well as fault-tolerant features for Sybase SQL Server.